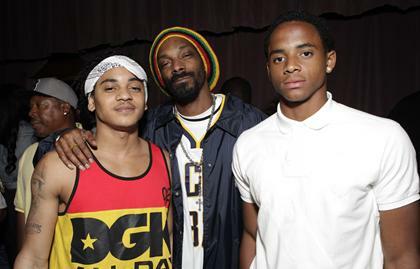 Cordell Broadus, also known as the son of Snoop Dog/Snoop Lion, has been offered a football scholarship by Duke. Broadus, who plays wide receiver and defensive back, is in his sophomore year at Diamond Bar High School in California. The 6-foot-3, 185-proud Broadus also has offers from UCLA and Washington, according to Rivals. If Broadus heads to Durham, he won’t be the first son of a recording artist to play there. Hud Mellencamp, son ofJohn Mellencamp, is a rising sophomore walk-on DB for Duke. He did not appear in any games last year.